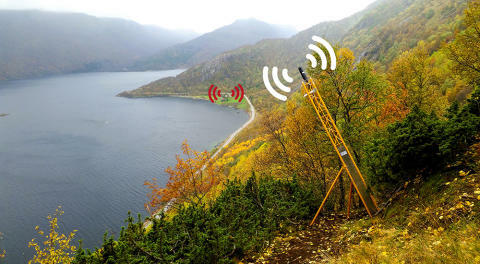 In Sandneslia, just above an exposed stretch of County Road 472 south of Bodø in Nordland, NGI has installed an automatic system for avalanche alert. The system is based on geophones that registers ground vibrations generated by the moving snow masses. 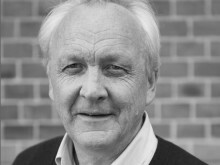 - The monitoring and warning system works according to our specifications and has the features we wanted, says Gunne Håland, senior engineer and engineering geologist in the Public Roads Administration, and responsible for this project. The warning system in Sanneslia has a wireless network. Radio relay stations (blue) transmit messages from the radio towers (yellow) to the control-box (red lower right). The exposed road can be seen along the lower part of the picture. The geophones detects the vibrations in the rock masses. An avalanche on its way down one or more of the avalanche paths will generate vibrations in the ground as long as the snow is in motion. Other potential sources of vibration, such as a running deer, heavy gust winds or hammering rainfall may also create vibration, but these will have different characteristics. -If the monitoring system registers vibrations over a period longer than about 3 seconds, it will indicate an avalanche. Then the system will send an avalanche alert to the traffic lights on the exposed road below, and at the same time the Road Traffic Centre in Mosjøen will get the alert, says Yme Asgeir Kvistedal, senior engineer in the department of Instrumentation and Monitoring at NGI. The radio tower which is located close to the respective avalanche paths are bolted to the rock roughly perpendicular to the hillside inclination. NGI's Yme Kvistedal (right picture) captured while connecting wires from the geophones which registers vibrations from Avalanches. The red light at each end of the exposed stretch of road effectively prevents cars to enter the avalanche-prone zone. 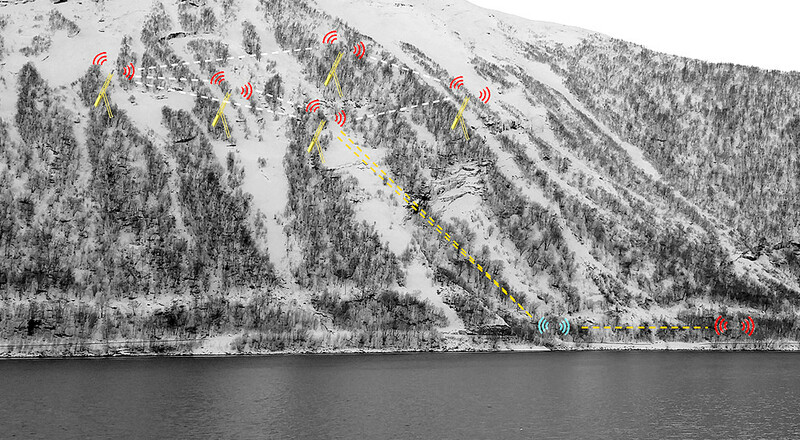 The time it takes to register an avalanche in the hillside happens very quickly, since it is a wireless sensor network. Cars that already are located inside the exposed stretch of road, between traffic lights, will therefore have ample time to get out into the safe zone, before the avalanche, if big enough, reaches the road. On assignment from the Public Roads Administration an avalanche monitoring and warning system based on geophones has also been designed and installed by NGI in Lauvjuvet, in Vinje, Telemark, where County Road 362 frequently has been blocked by avalanches over the years. 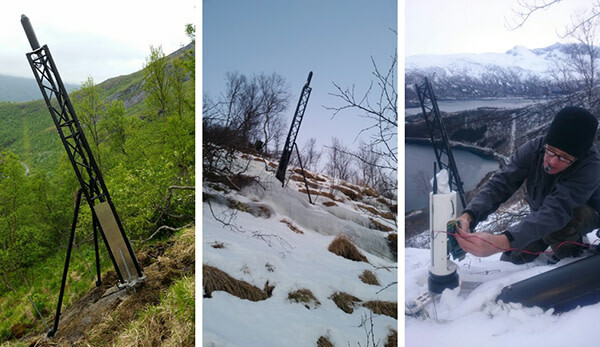 Yme Kvistedal receives notification by e-mail when an avalanche is registered in one of the areas where he has installed the geophone monitoring system. As a curiosity he tells that he was notified when an earthquake off the coast of Western Norway occurred in november 2017. That incident generated vibrations in the rock mass over very long distances, and these vibrations were registered by the geophones in Lauvjuvet in Telemark. -That shows how sensitive these instruments are for detection of vibrations in the ground. Even small avalanches will be registered and notified, tells Yme.